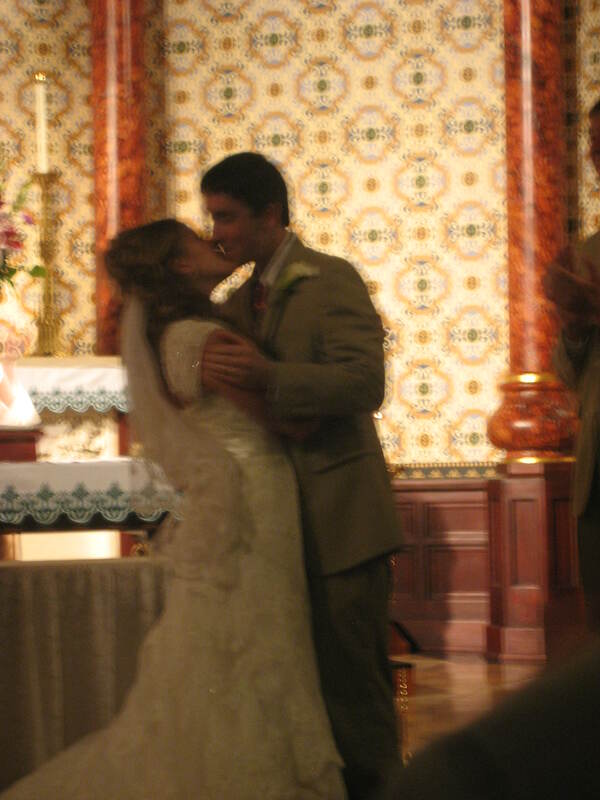 My beautiful sister-in-law Claire married the love of her life James! 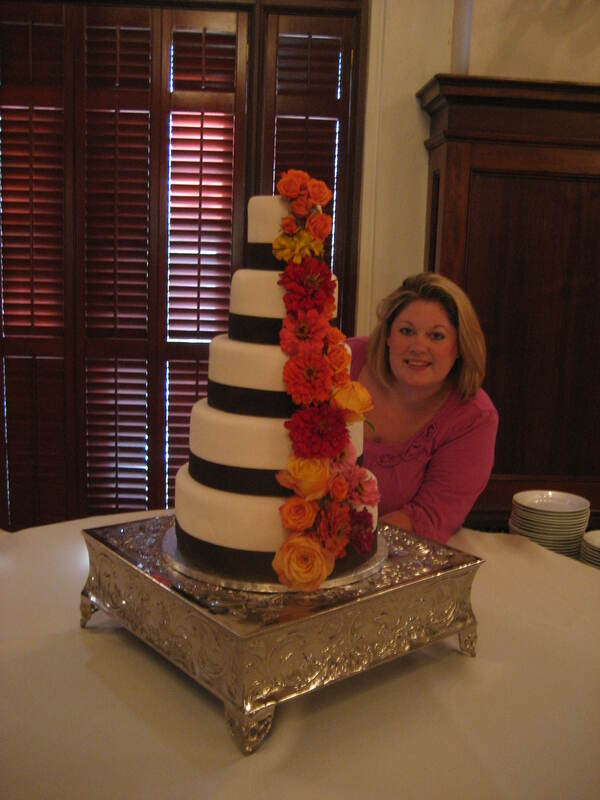 I was so honored to be asked to make the wedding and groom’s cake. 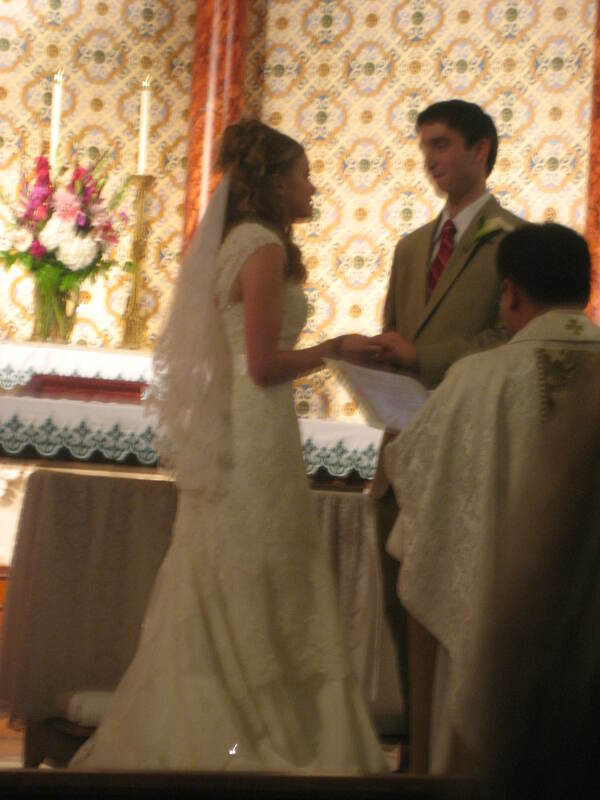 For the wedding cake, Claire wanted something fairly simple. 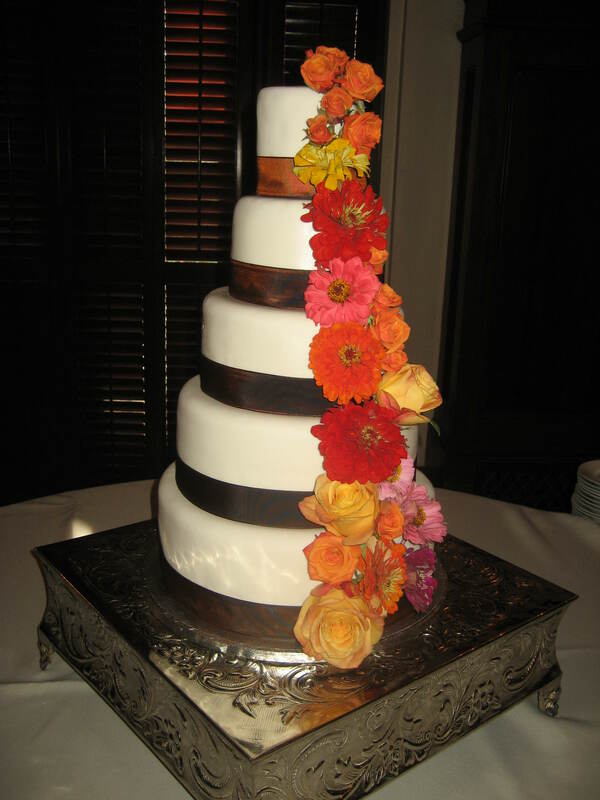 She wanted white round tiers with brown ribbon and flowers cascading down the cake. 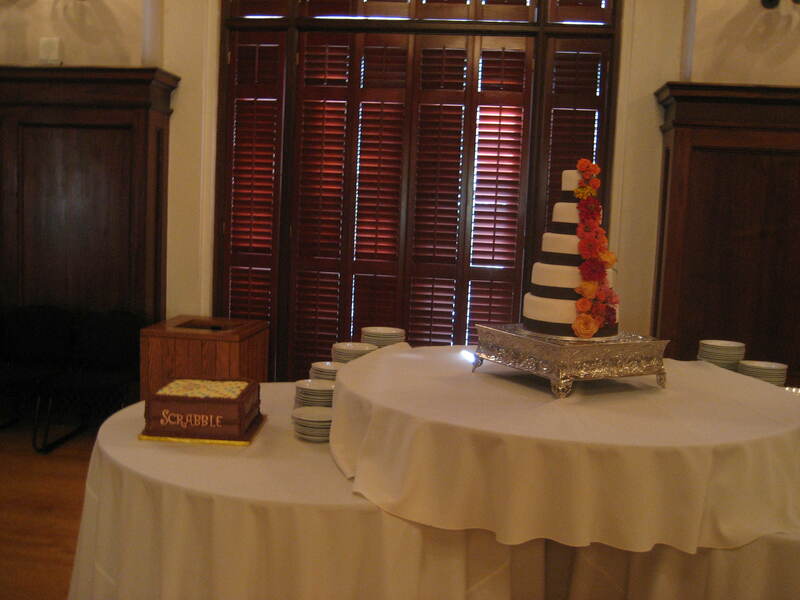 The cake flavors alternated between Red Velvet with Cream Cheese Filling and Italian Cream with Cream Cheese Filling. 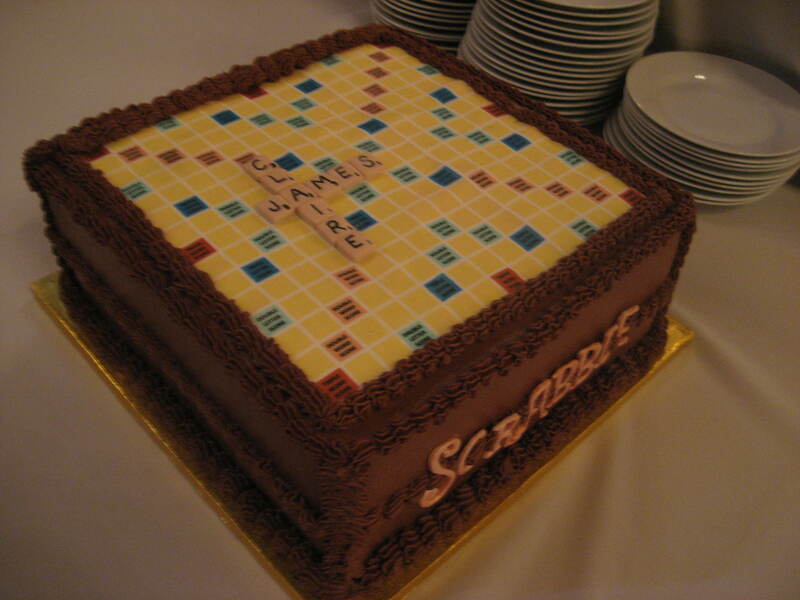 For the groom’s cake, James decided on a Scrabble Board. James proposed to Claire on a Scrabble Board so it seemed fitting! Everything is edible on the cake! 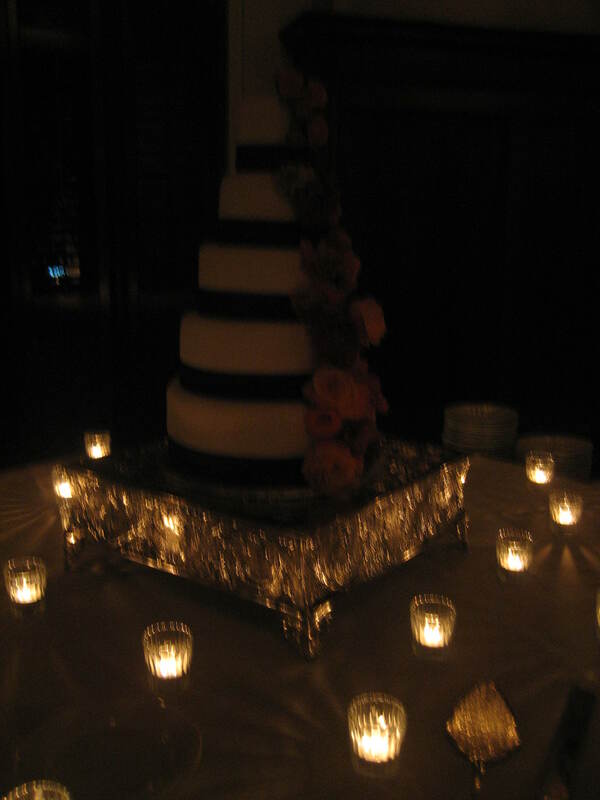 The cake is Guinness Chocolate Cake with Cream Cheese Filling and Chocolate Buttercream Icing.